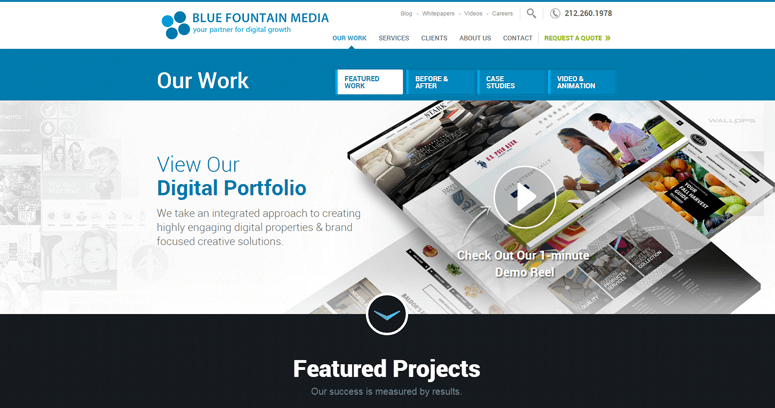 Over the years, Blue Fountain Media has worked hard to always provide their clients with excellent work that is of top quality. They have worked for a few different well-known companies in a variety of different industries, but they have also had a few clients that were brand new, start up companies. 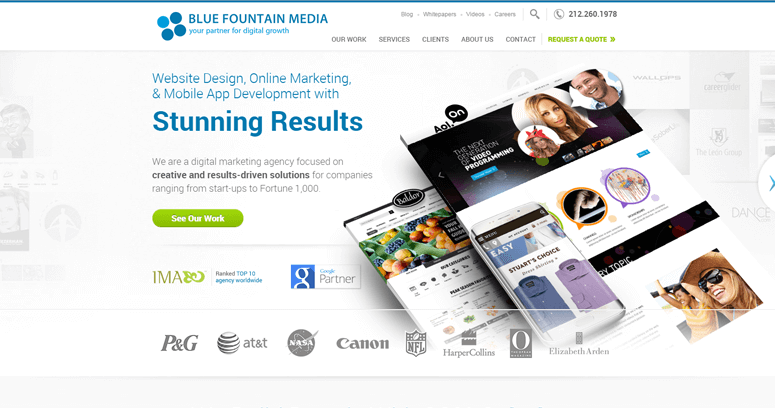 Regardless of what sort of company their client runs, Blue Fountain Media has conducted a number of different successful designs, and they provide four different types of services for their clients to choose from. 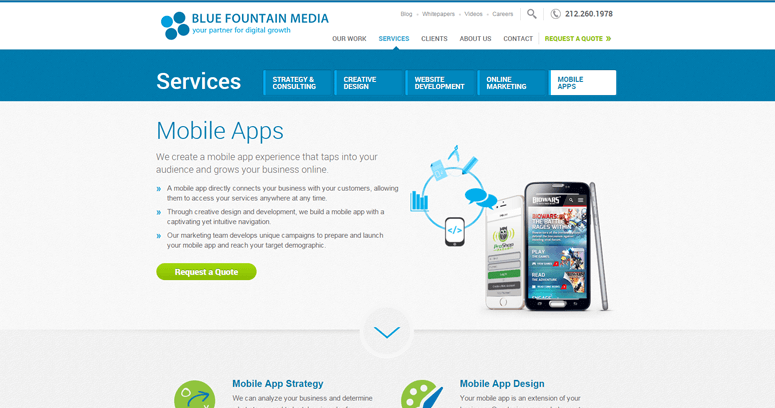 The four service areas that clients can receive from Blue Fountain Media are strategy & consulting, creative design, website development, and online marketing.